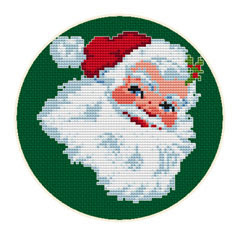 Today was added a new free cross stitch pattern - "Santa Claus". The size of this pattern is 80 x 74 stitches, created for 14 ct aida cristmas green. DMC threads, 2 strands for x-stitches and 1 for backstitches.